Melissa is a name deriving from the Greek word Meli which means "honey". 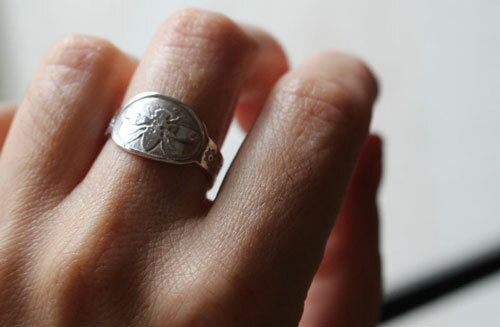 I thought this name suited really well this shape like signet ring but in a more feminine version. 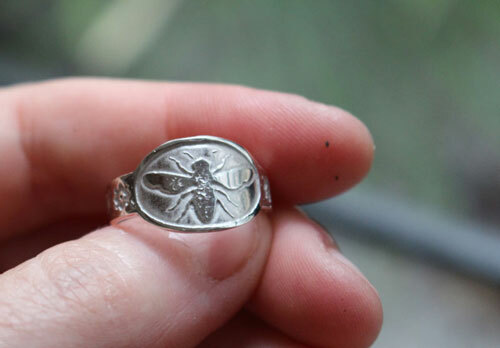 A bee is engraved on the upper part looking like a seal, as if the bee was your personal brand. 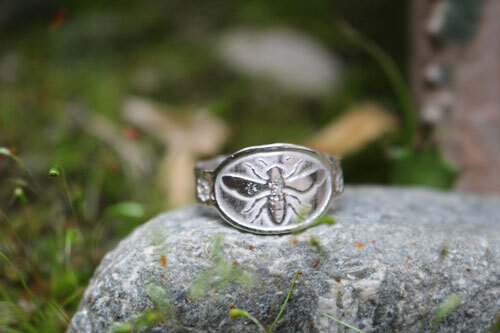 In ancient times, the bee was a symbol of immortality and resurrection, mainly in the Egyptian culture. 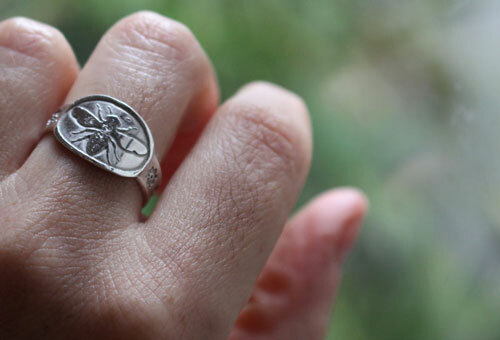 It is also a reference to nature and botanical. 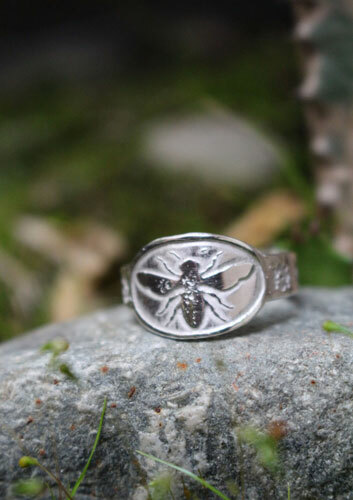 It will be the ideal gift for lovers of bees, flowers and botanic in general. It could suit both men and women. 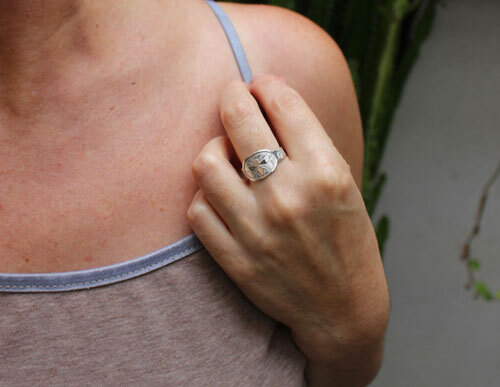 Width of the band: from 5 mm to 12 mm at the widest point. 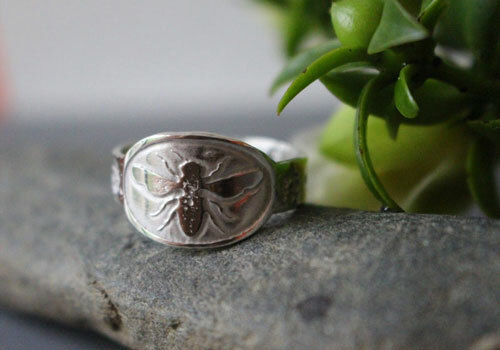 Tag: ring, sterling silver, bee, honey, insect, flower, pollen, nature, botanical, pattern, wedding ring, love, promise ring, unisex, flora, legend, boho, classy, gypsy, hippie, Egypt, egyptian, immortality, resurrection.